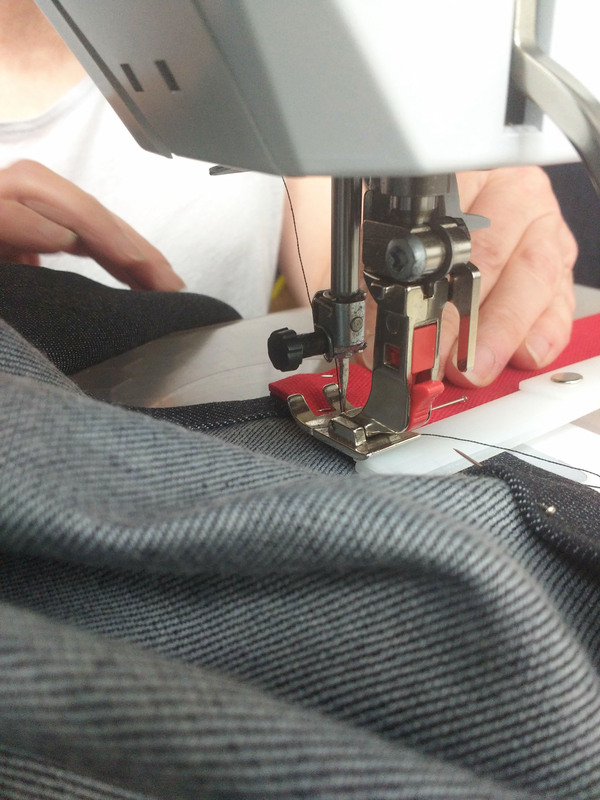 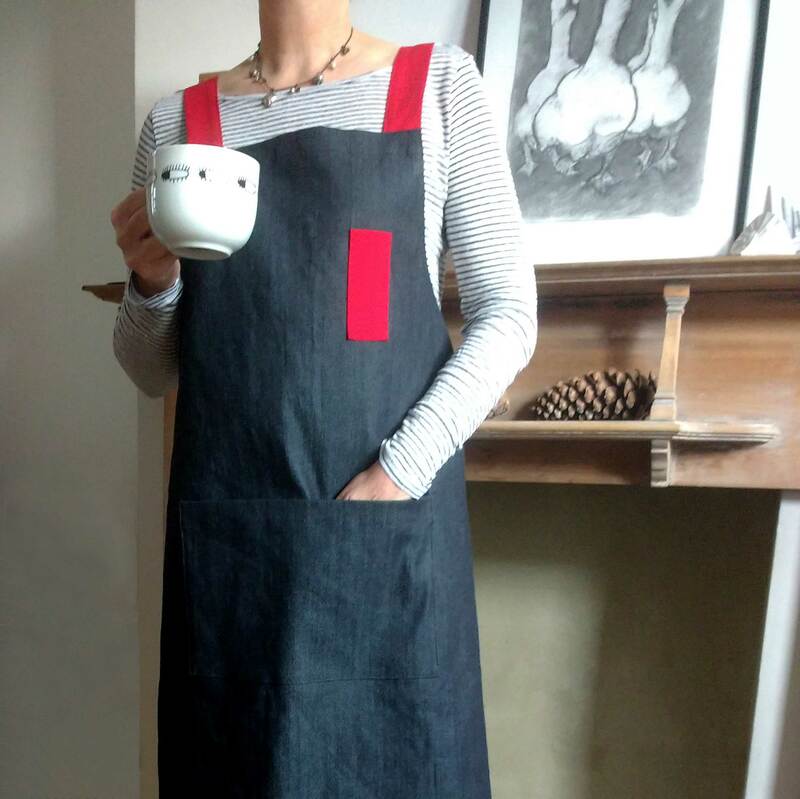 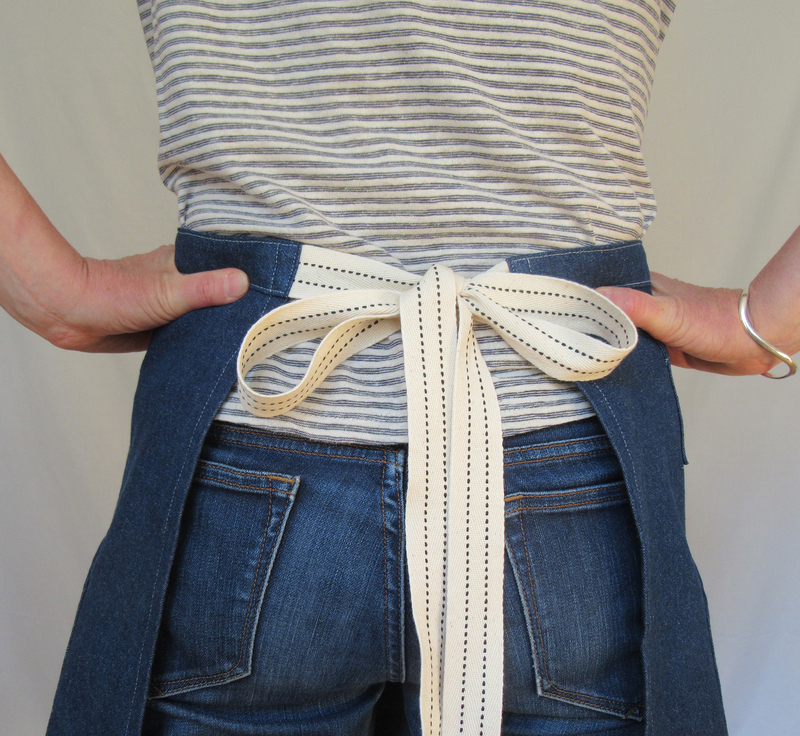 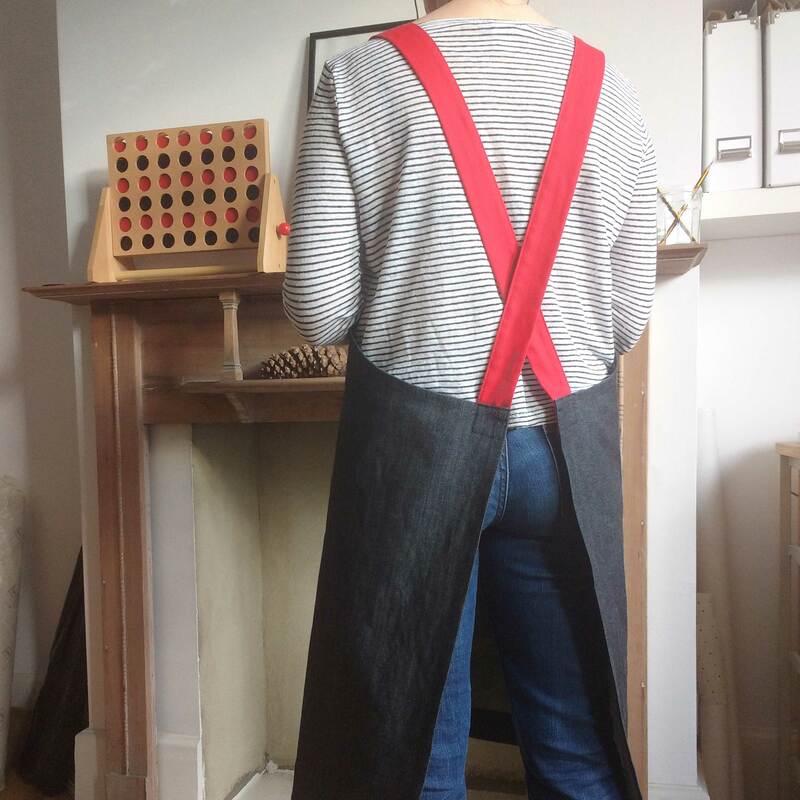 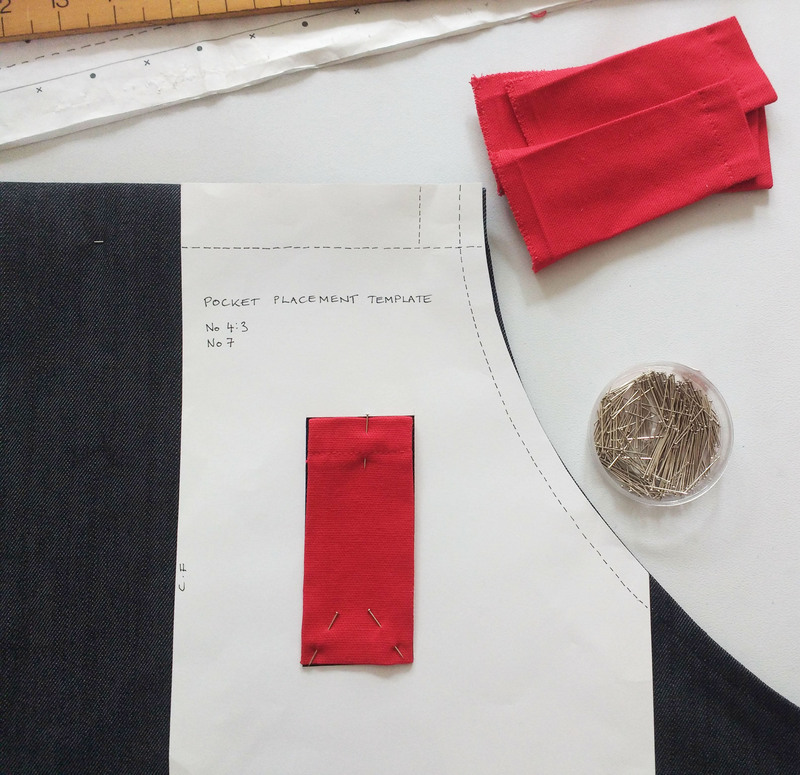 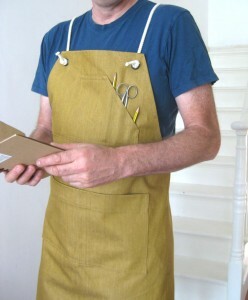 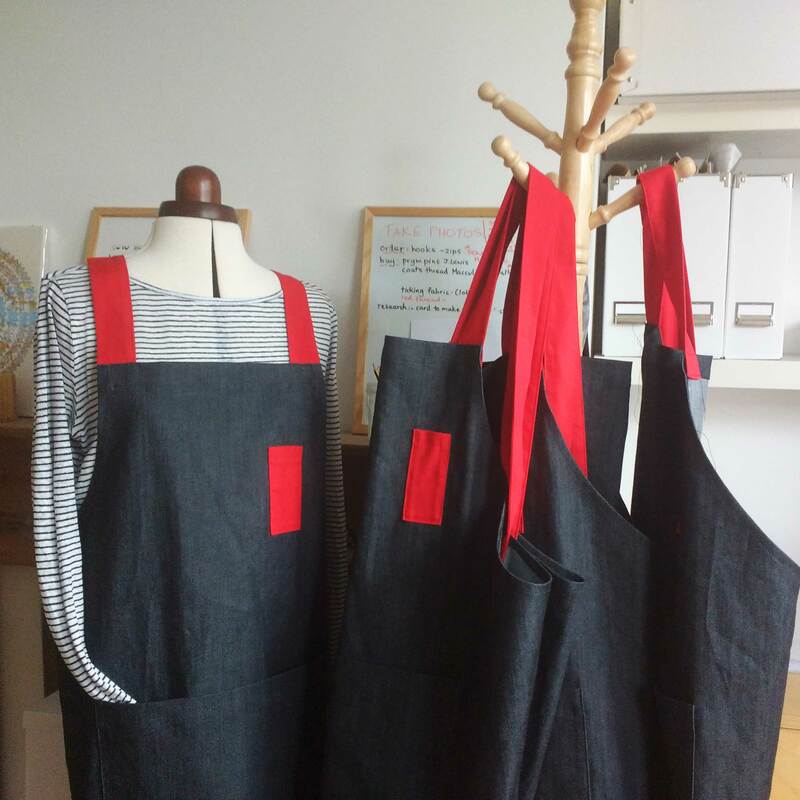 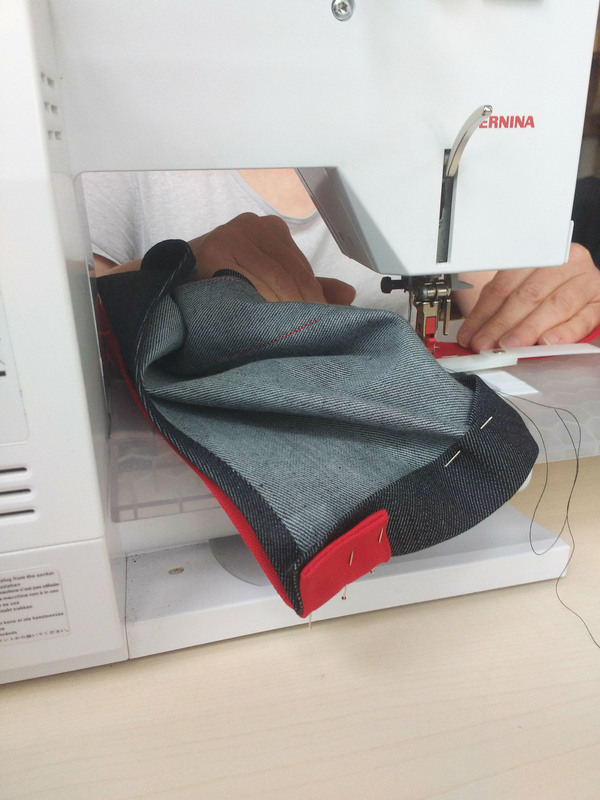 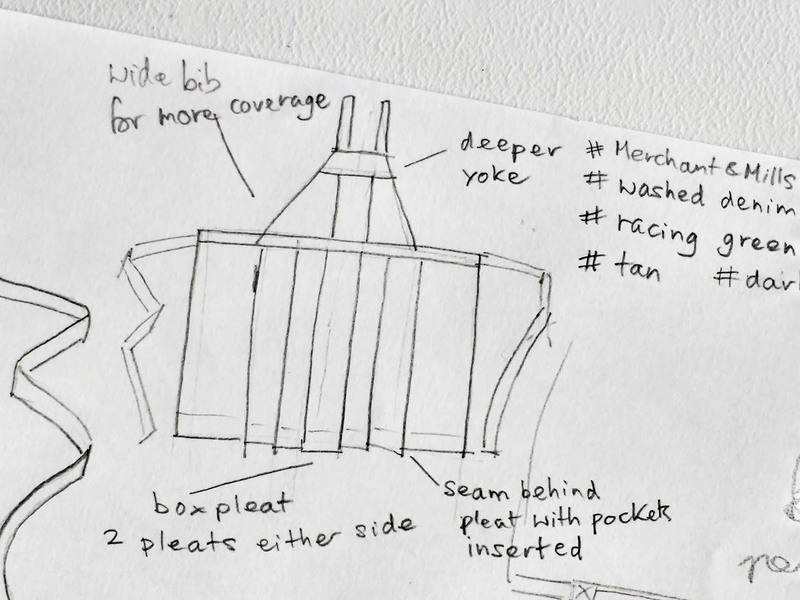 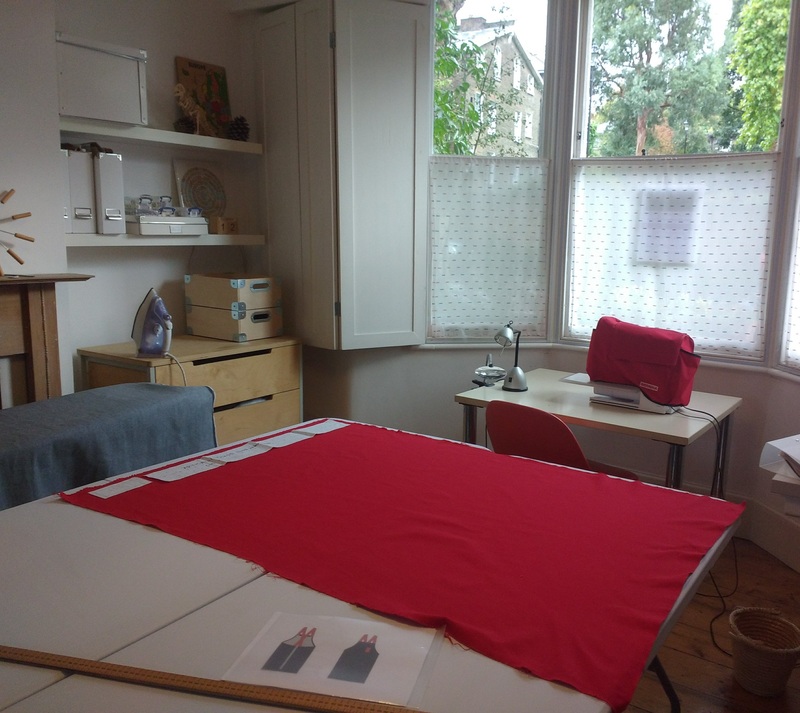 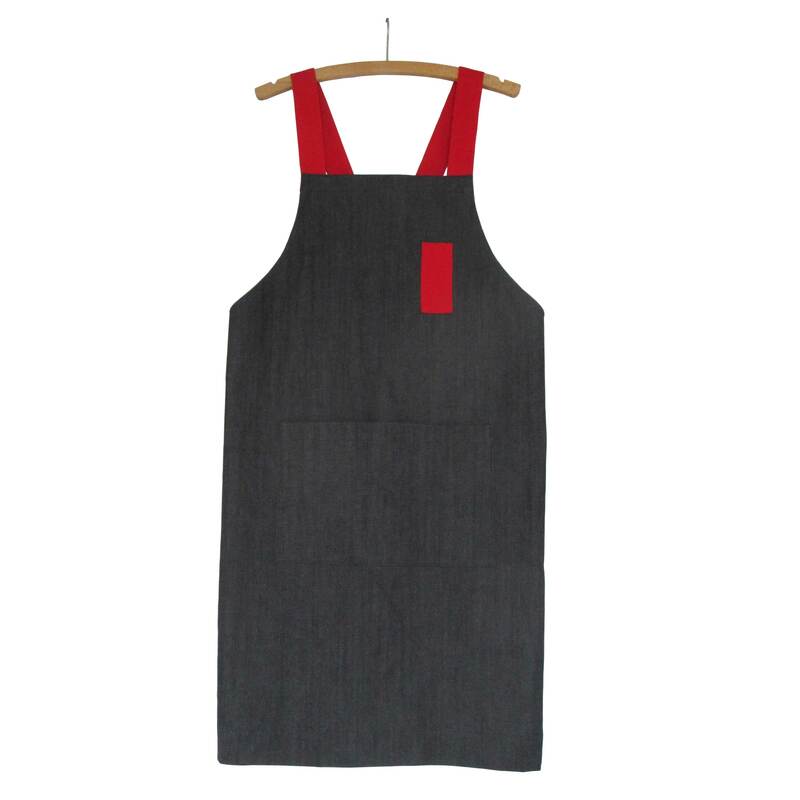 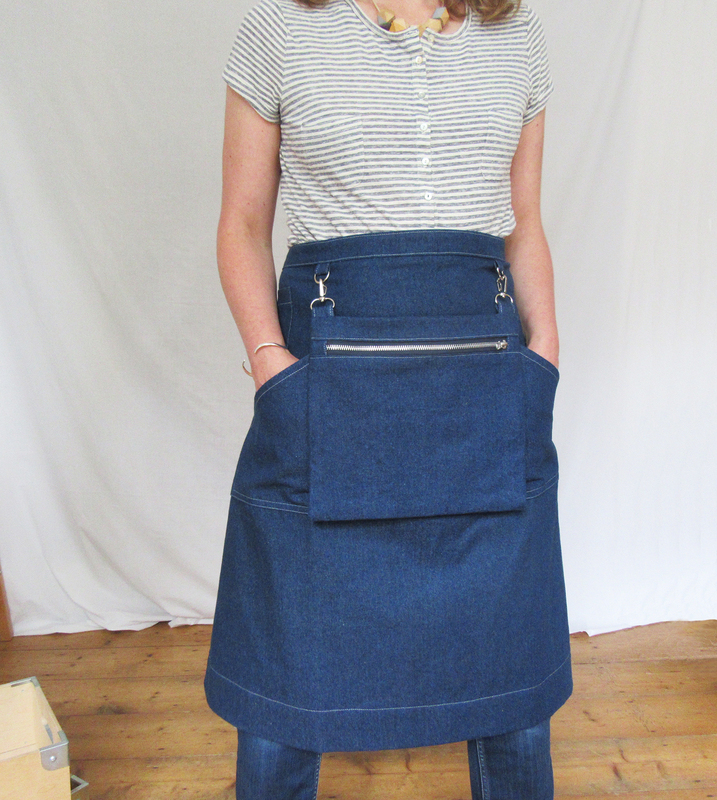 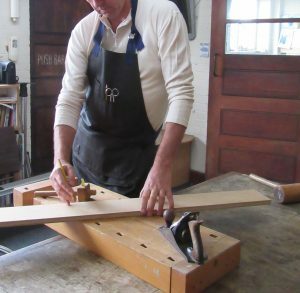 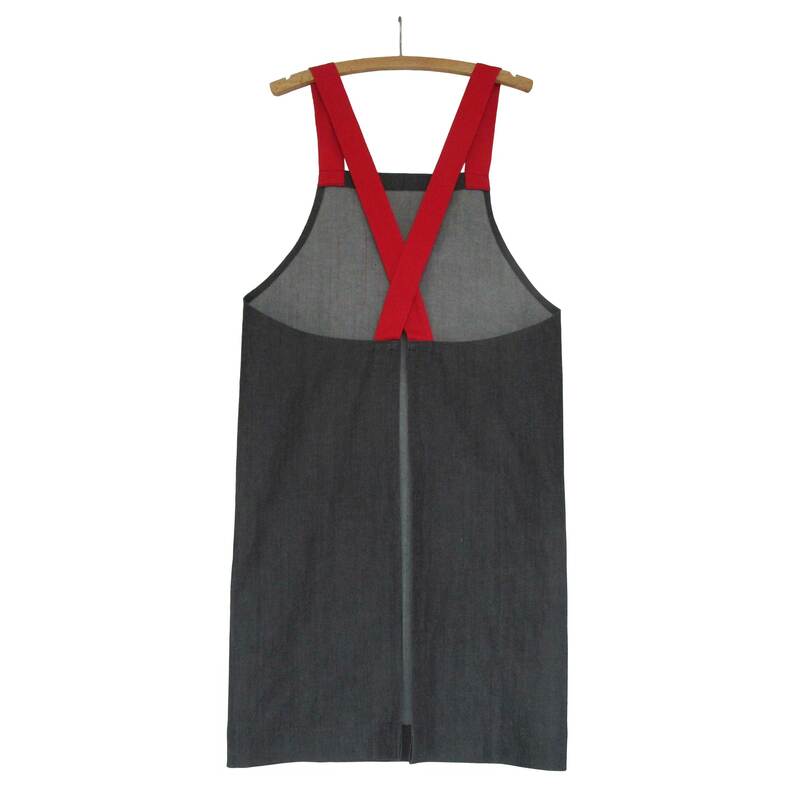 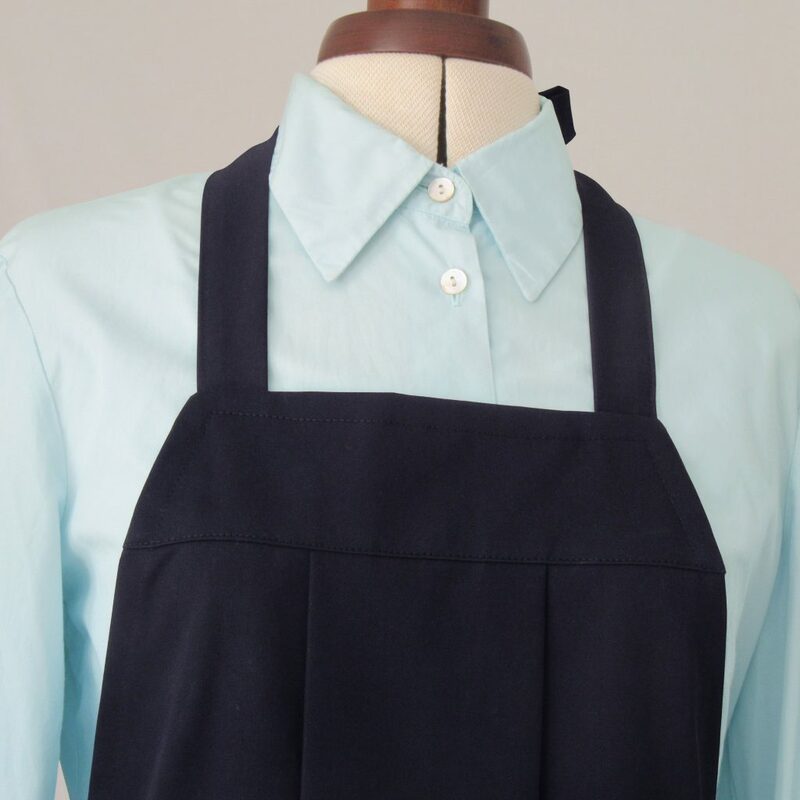 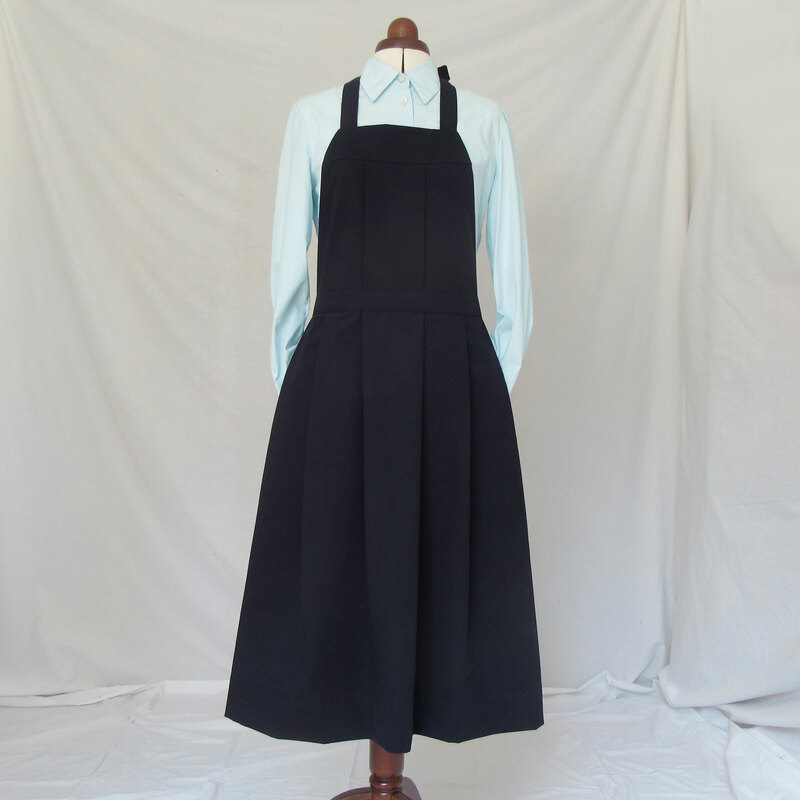 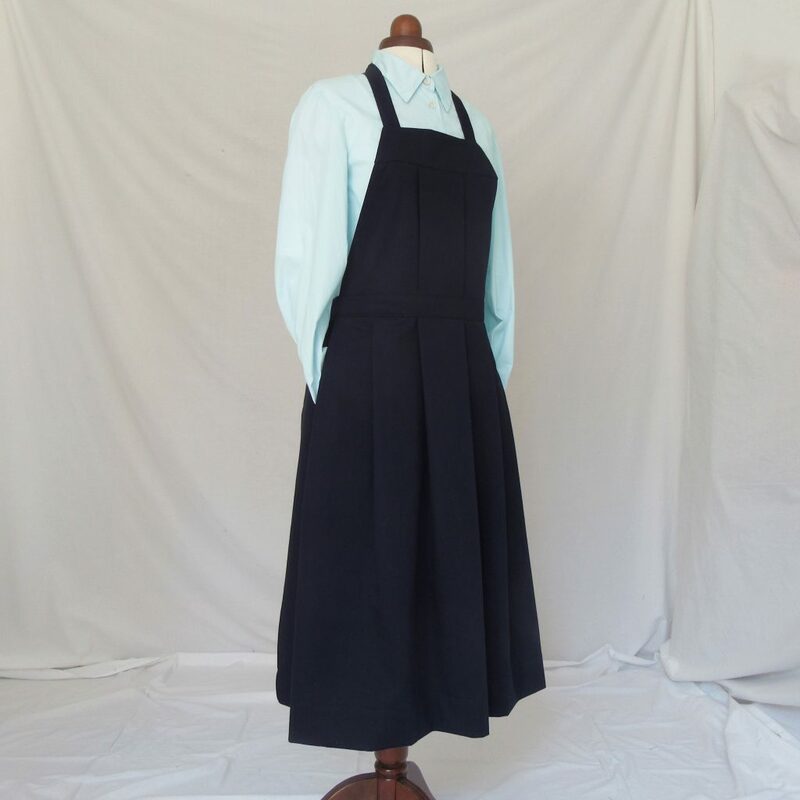 No 4.3 crossback apron – Charcoal denim with red canvas straps. 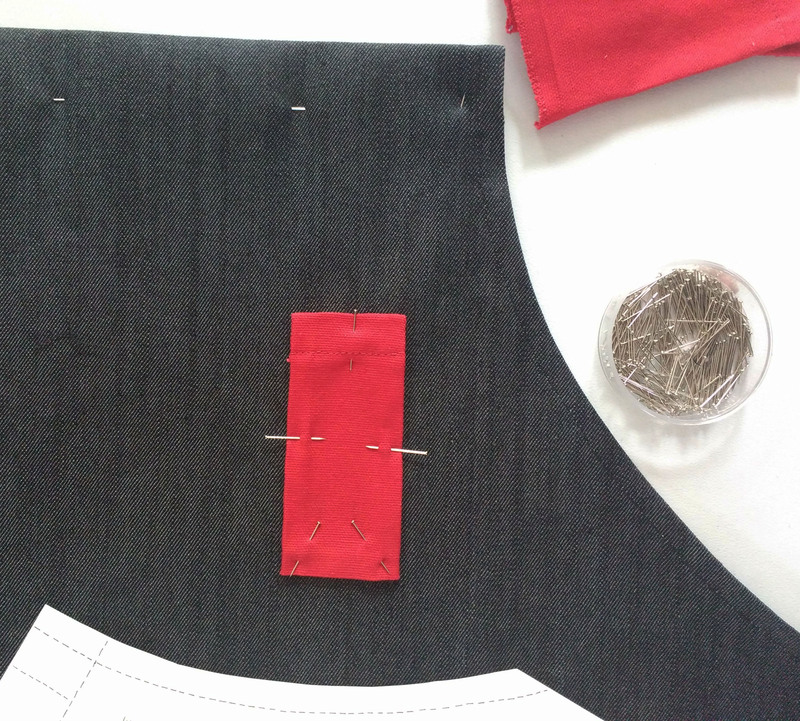 The charcoal denim has a nice silvery grey reverse side. 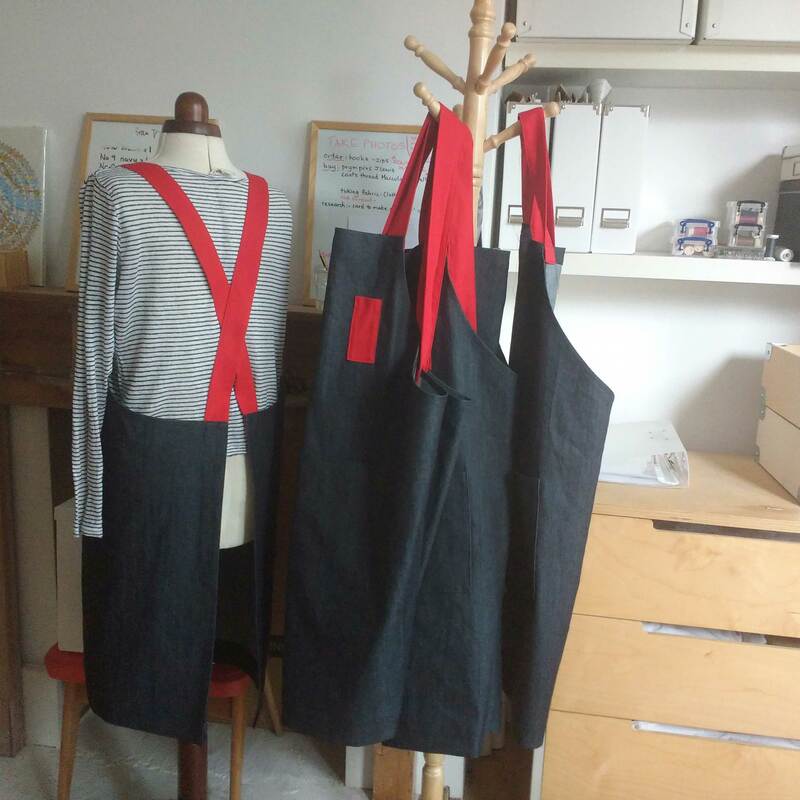 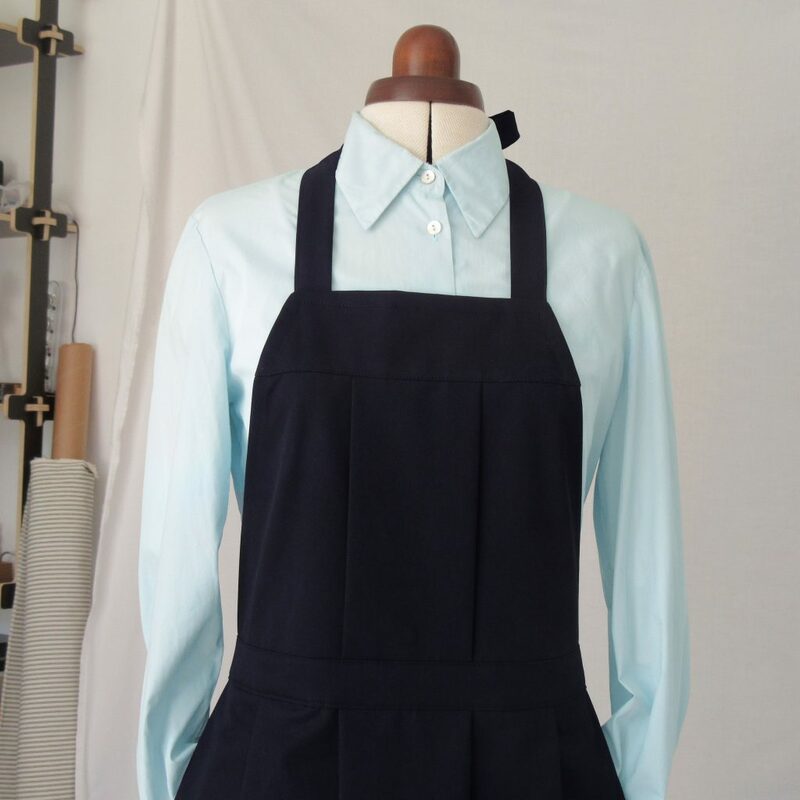 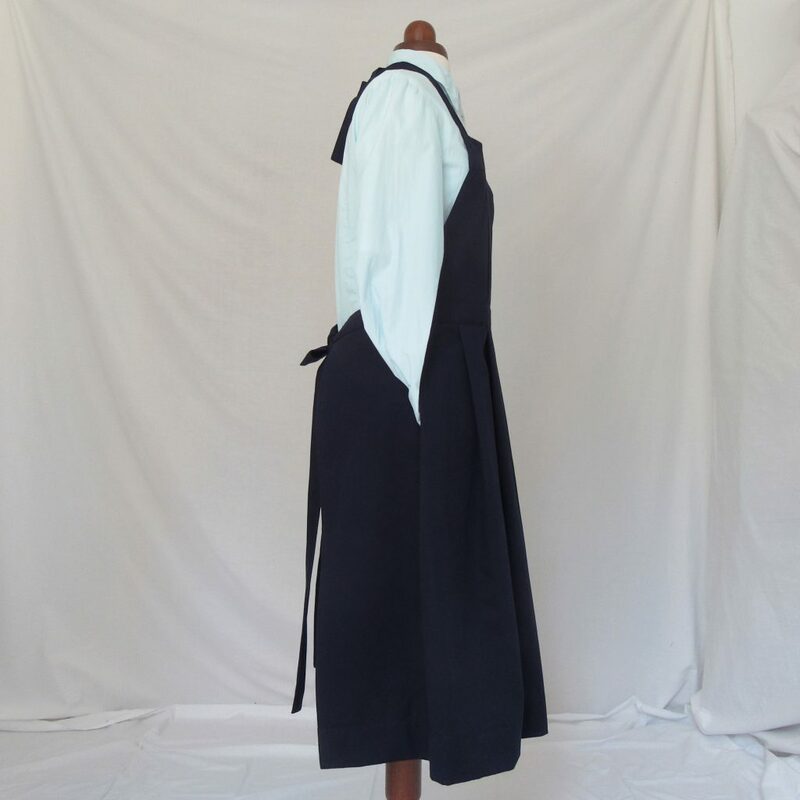 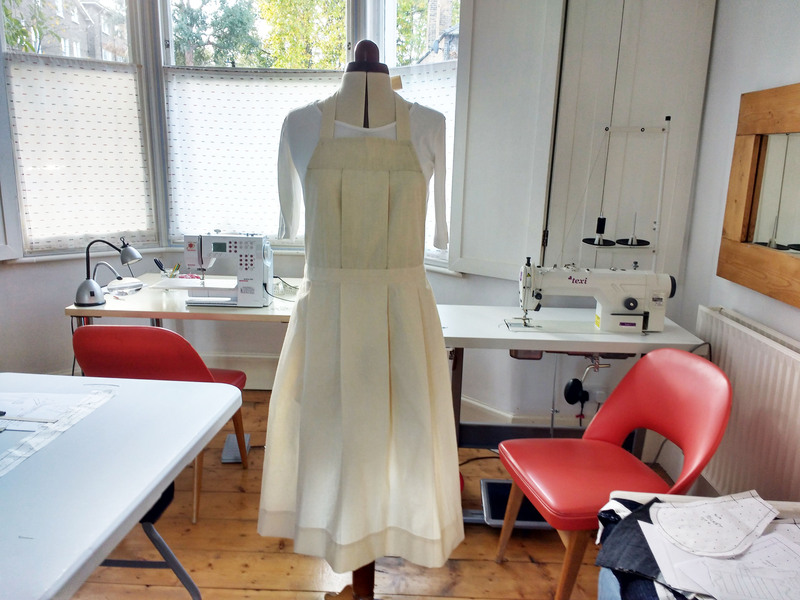 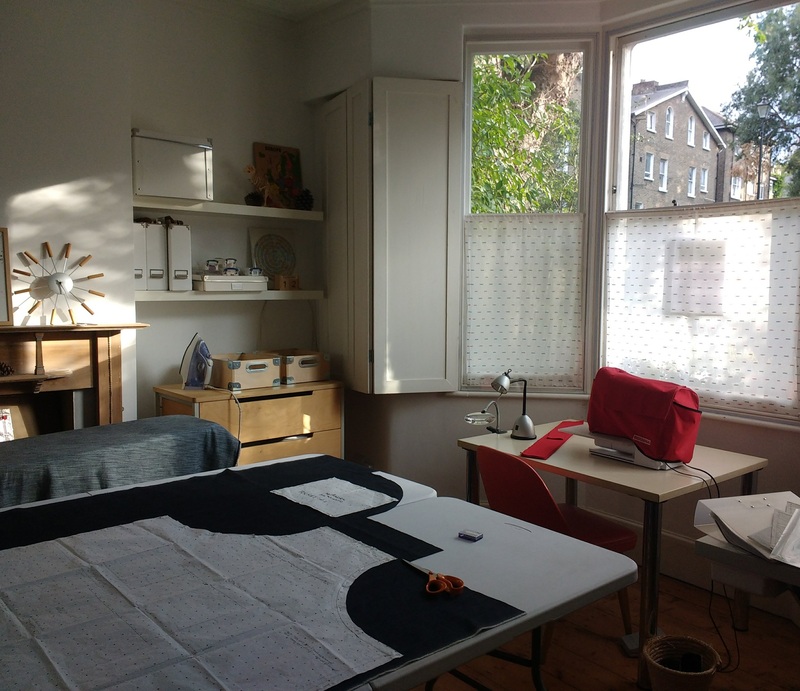 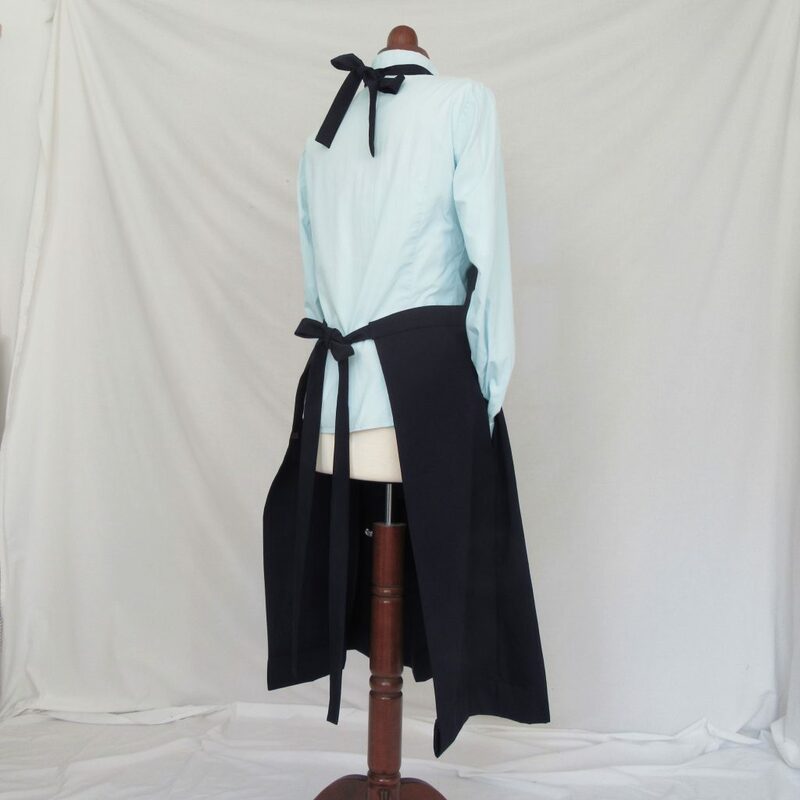 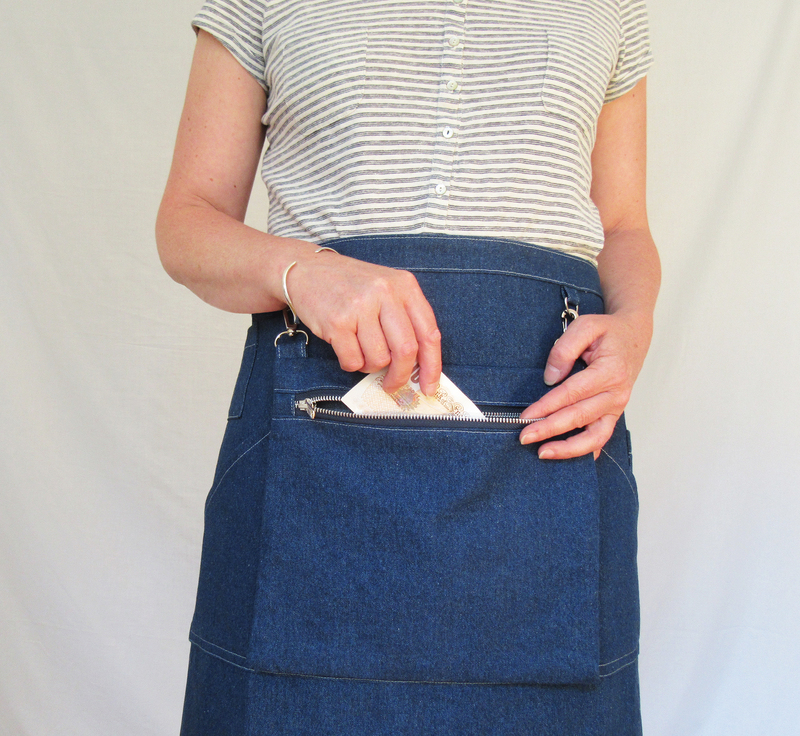 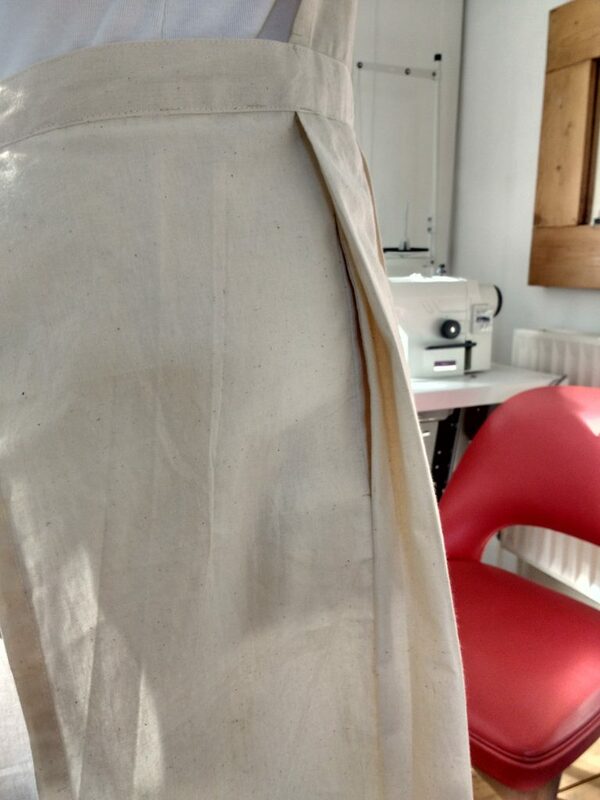 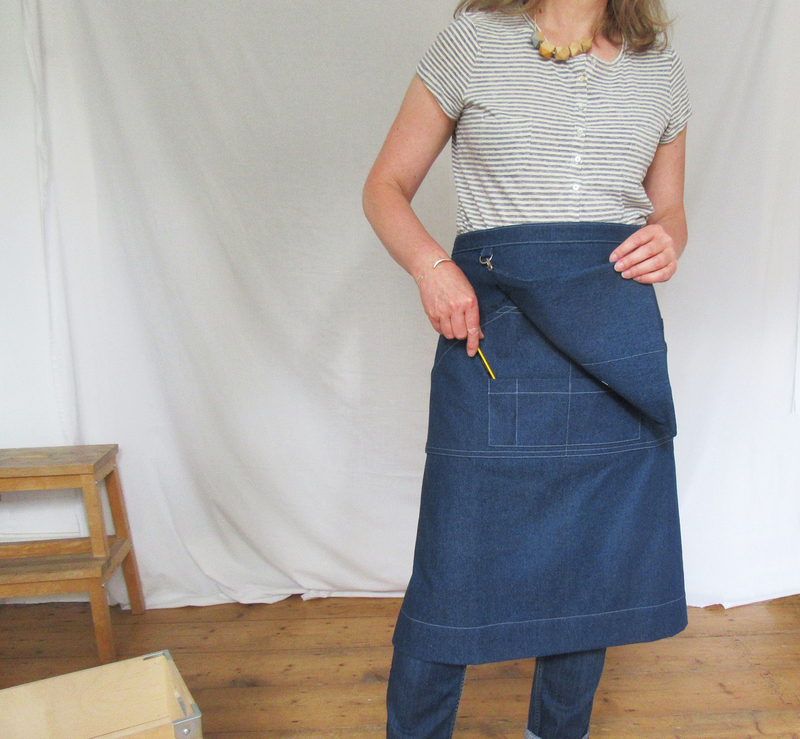 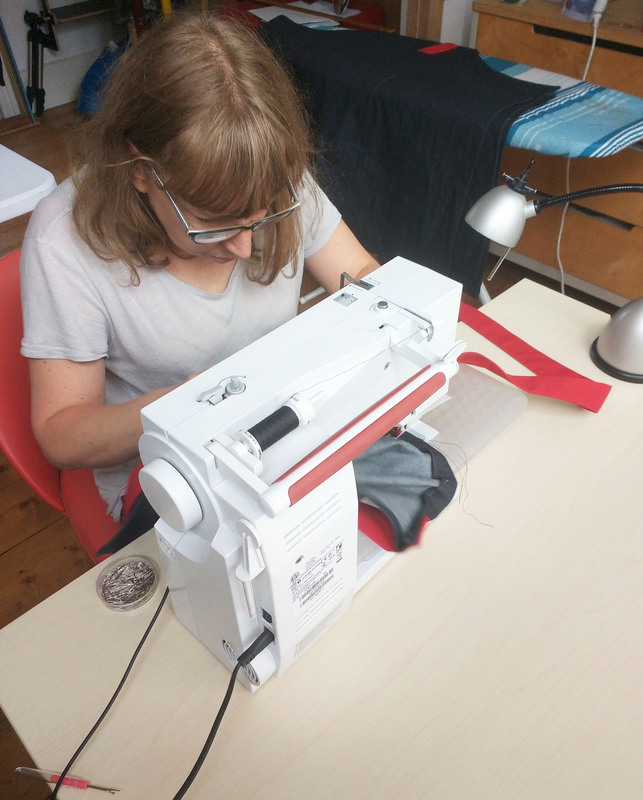 This entry was posted in Studio posts and tagged A Dog Like Sparky, apron, Aprons for Makers, Crossback apron, denim apron, Lisa Bennett, No 4:3, work apron on October 4, 2017 by lisabenn.